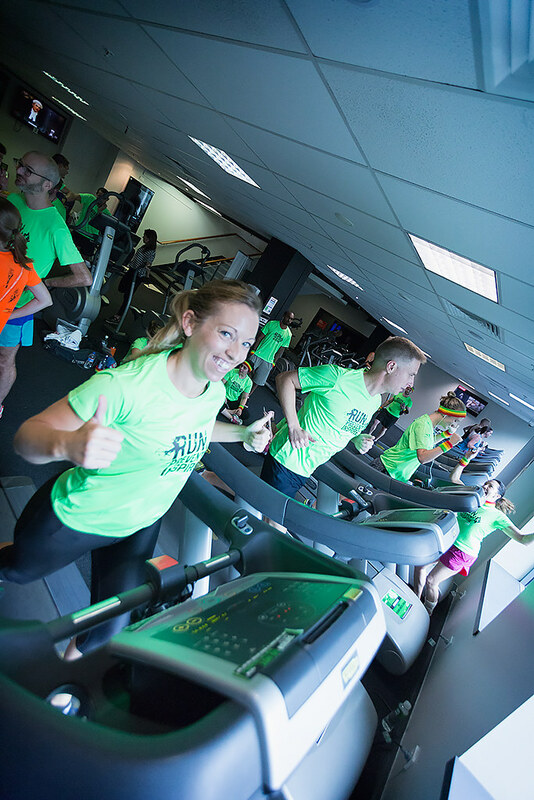 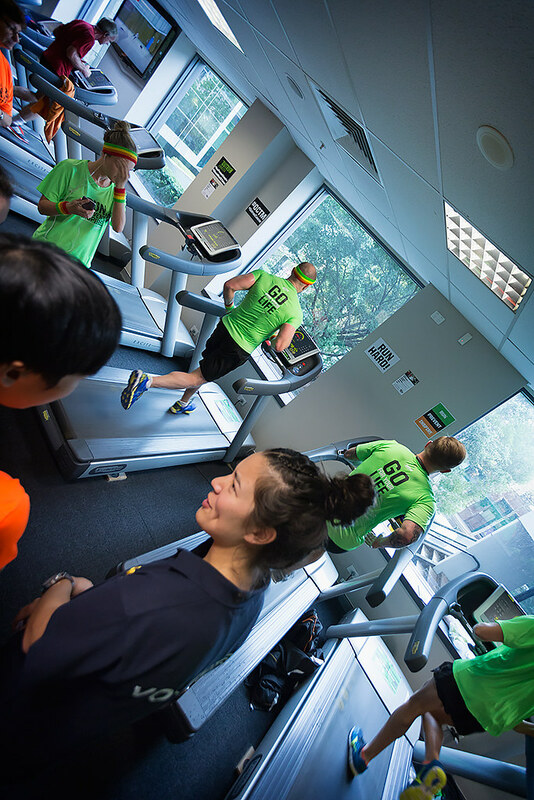 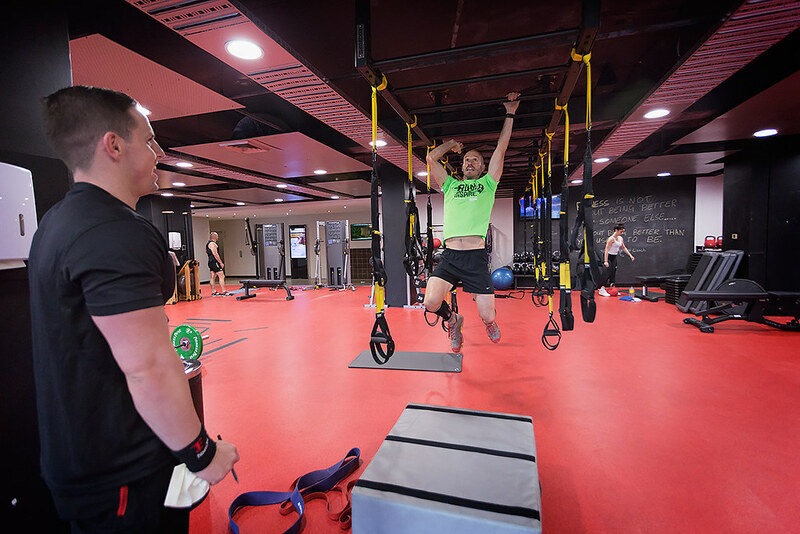 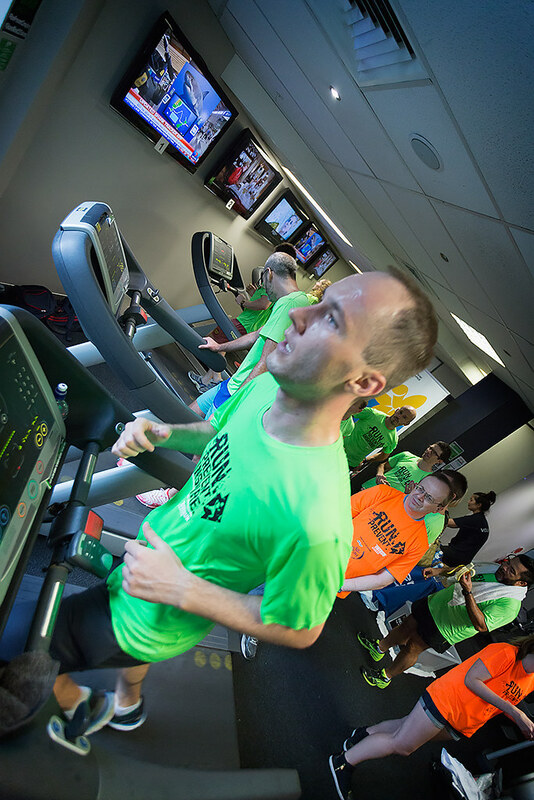 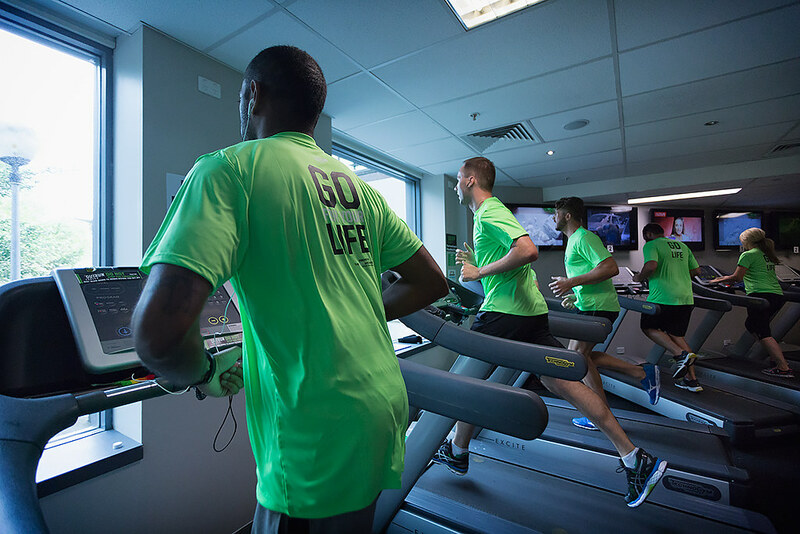 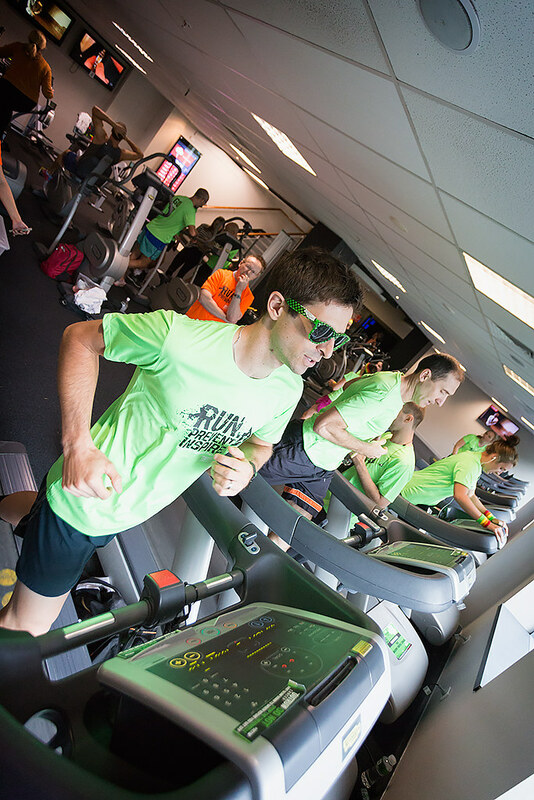 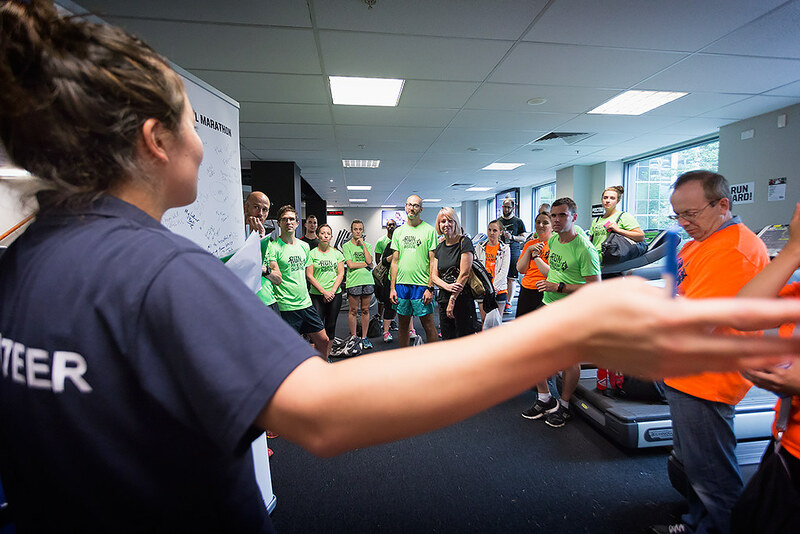 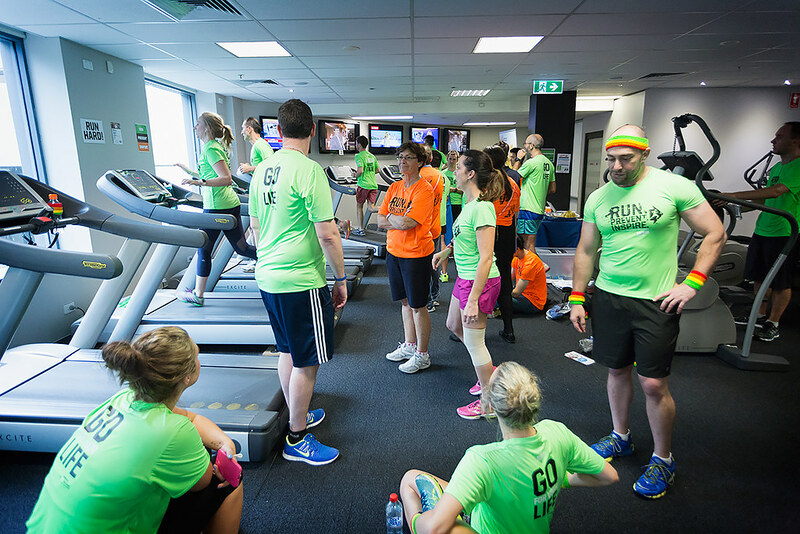 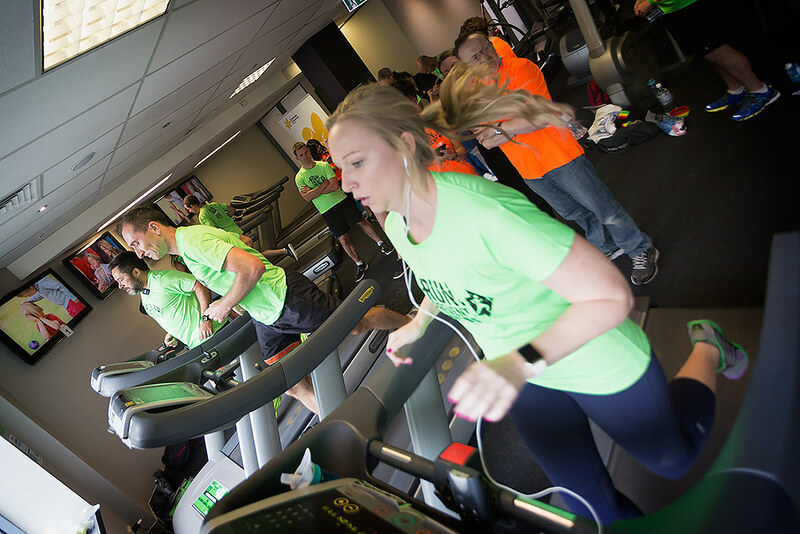 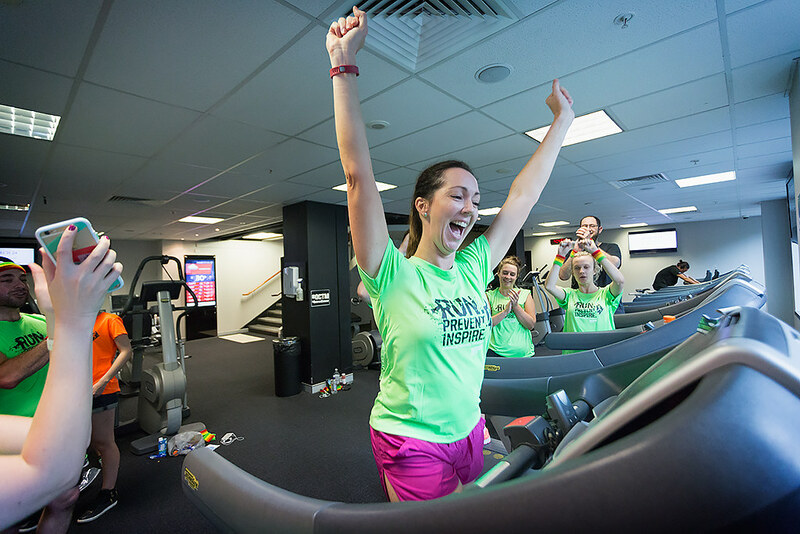 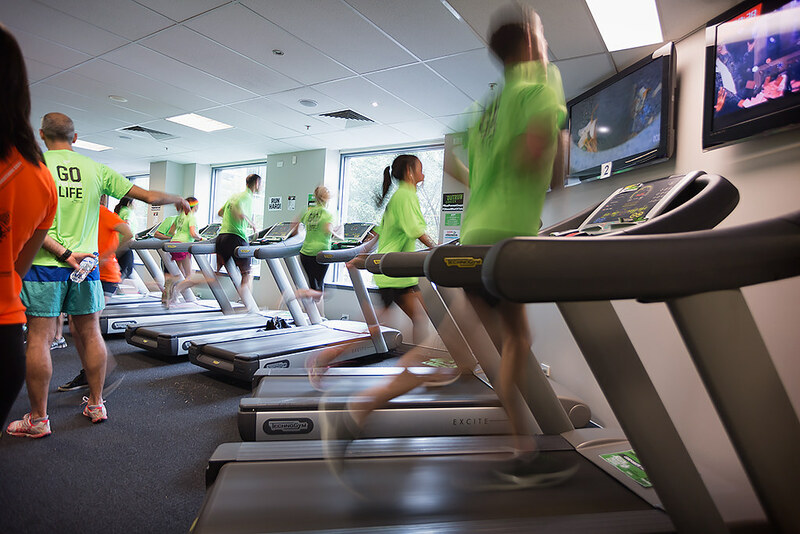 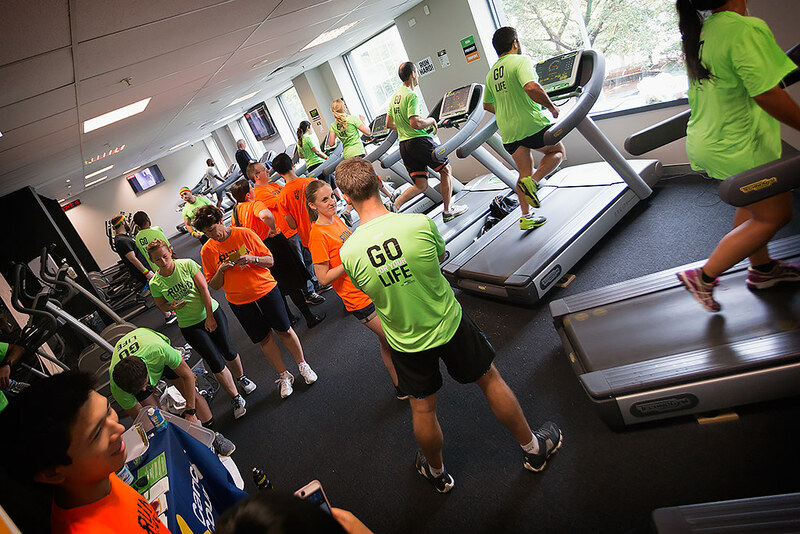 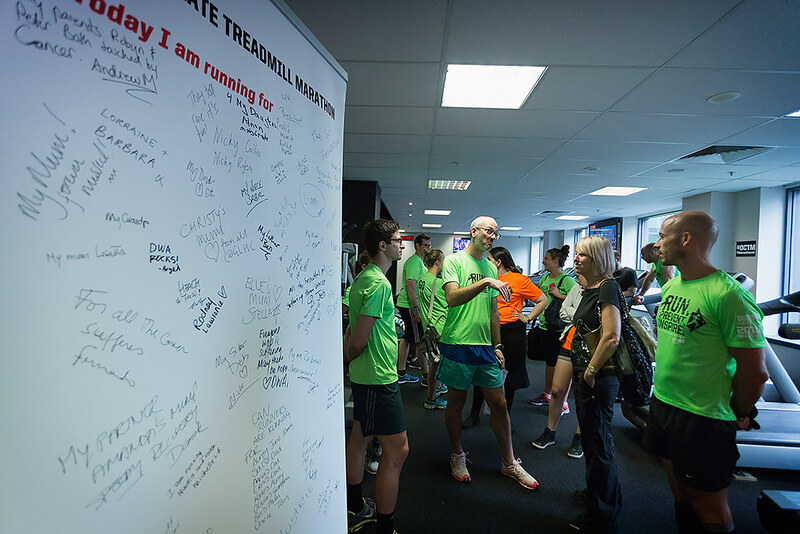 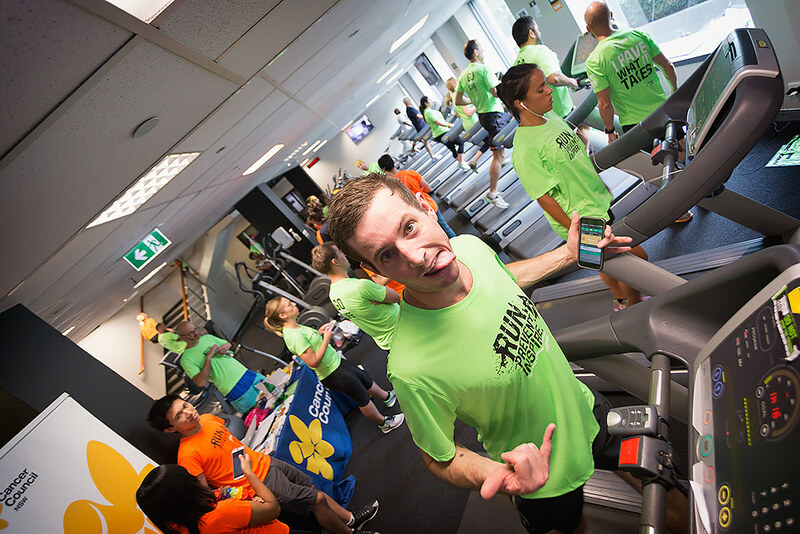 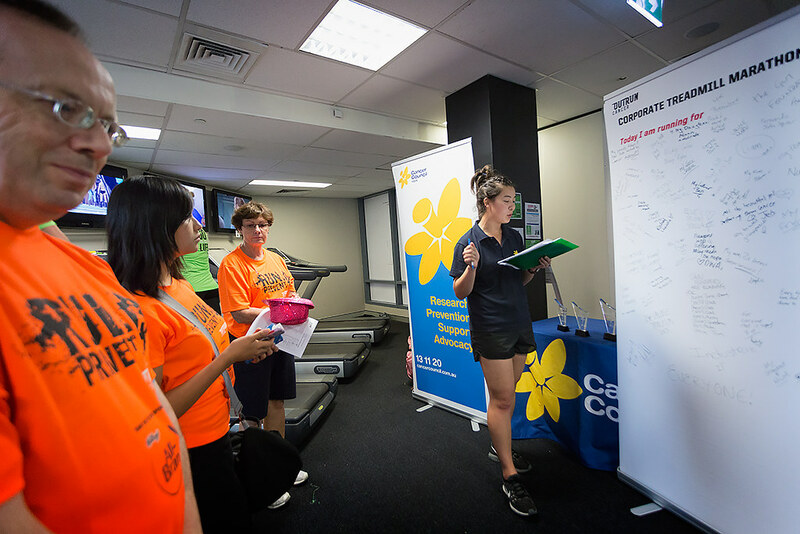 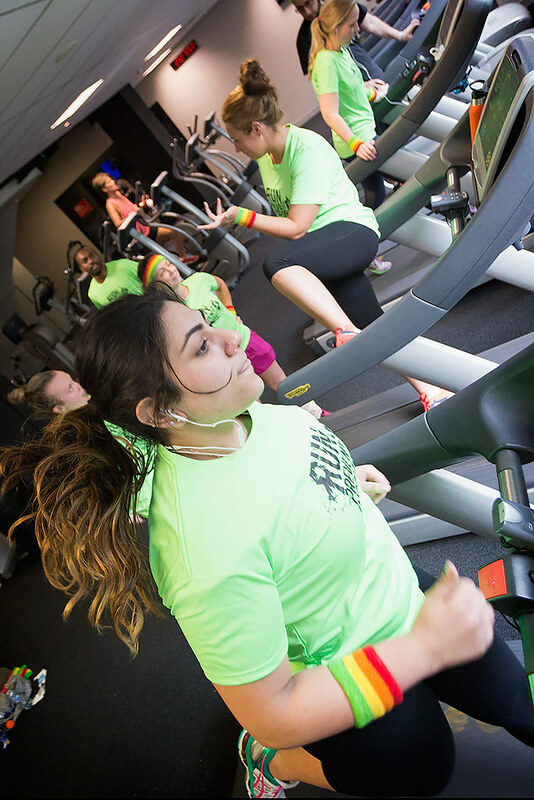 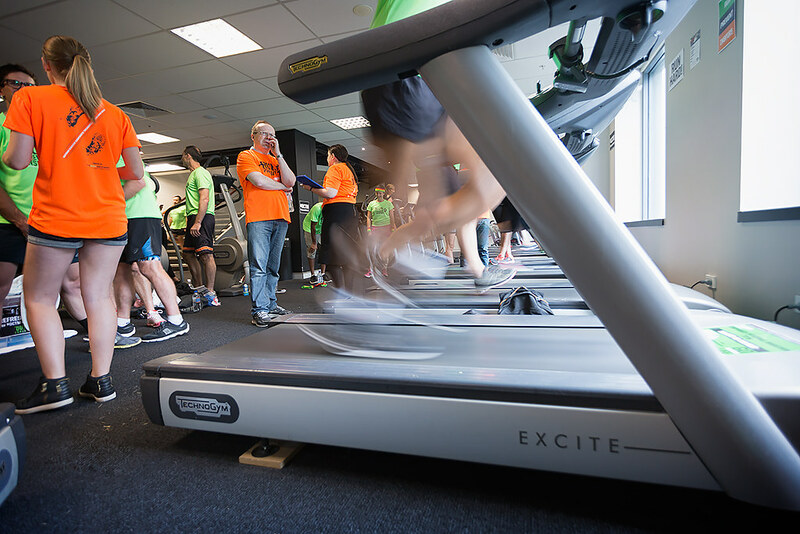 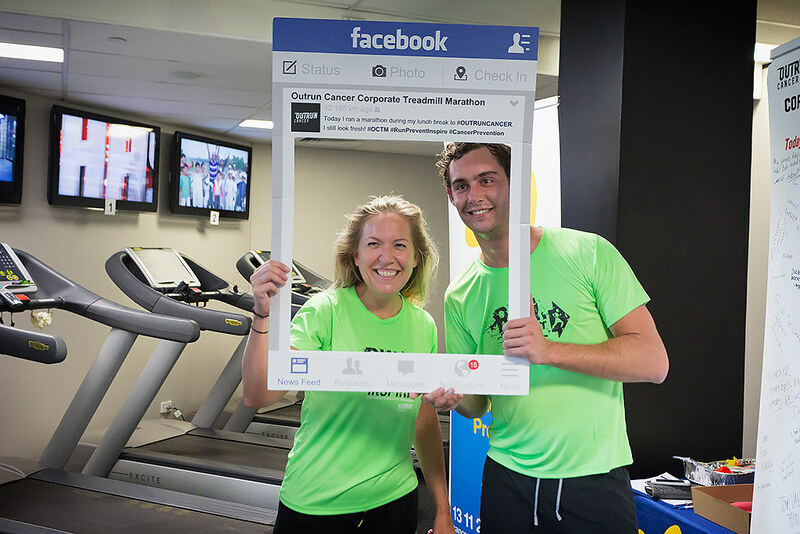 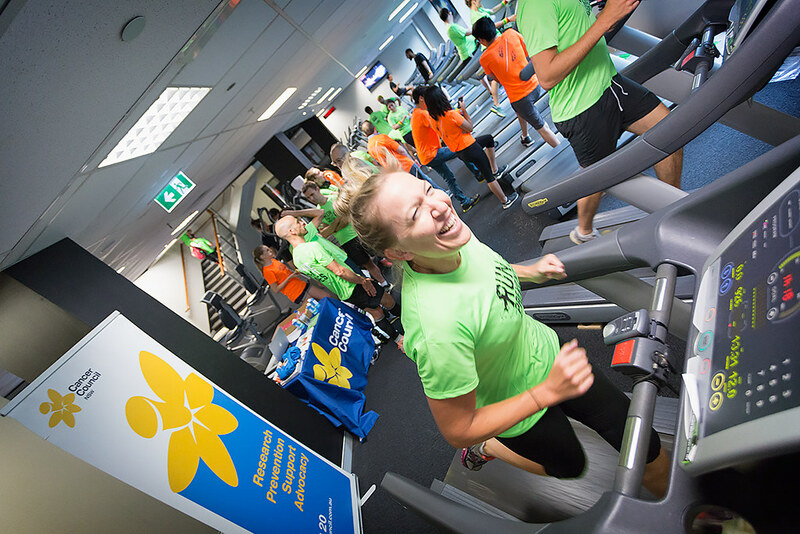 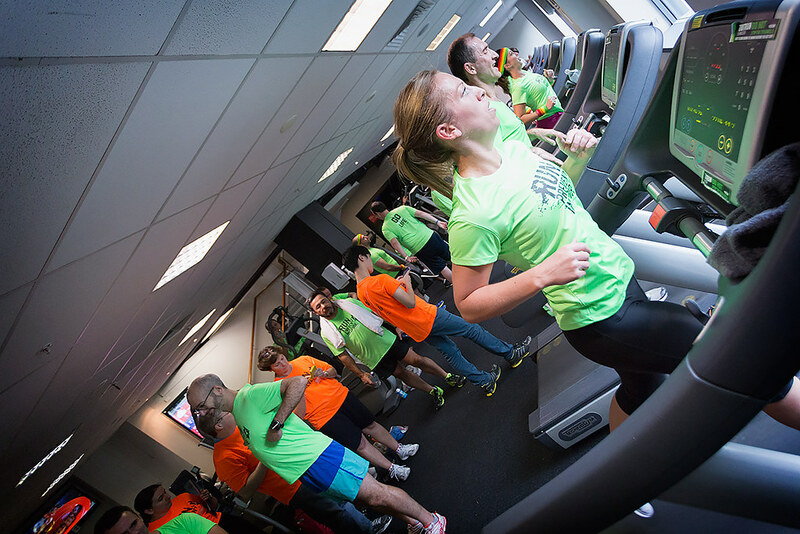 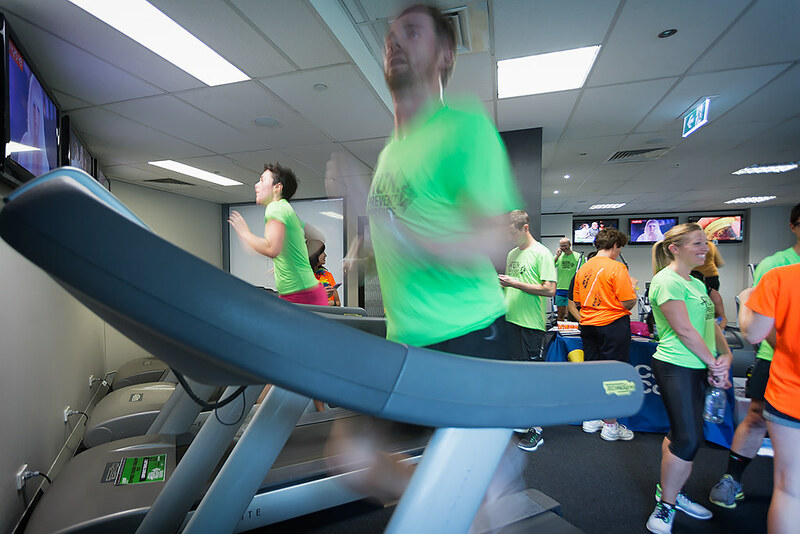 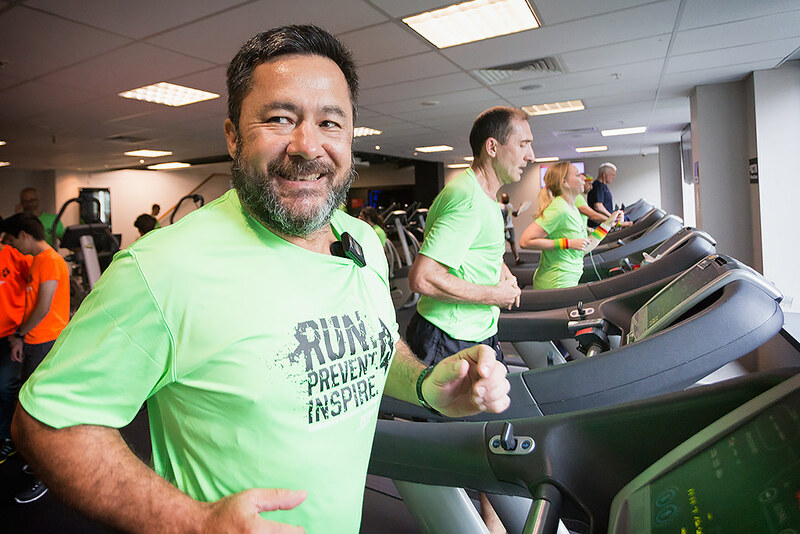 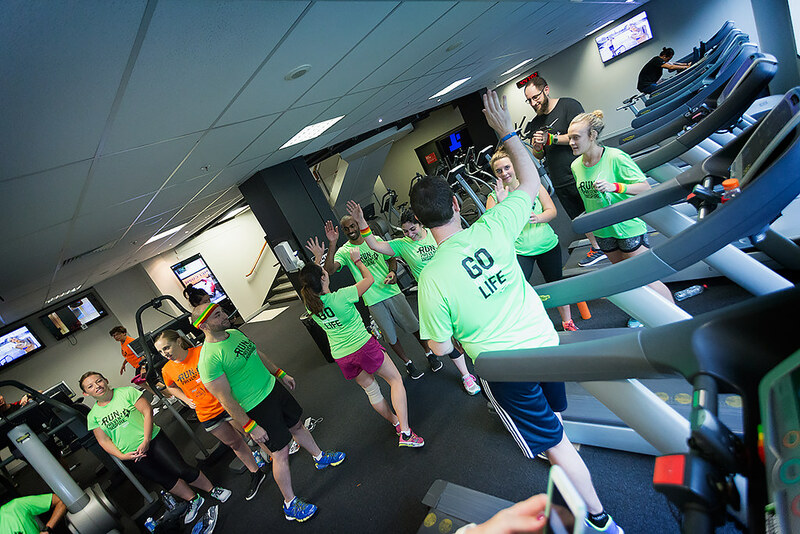 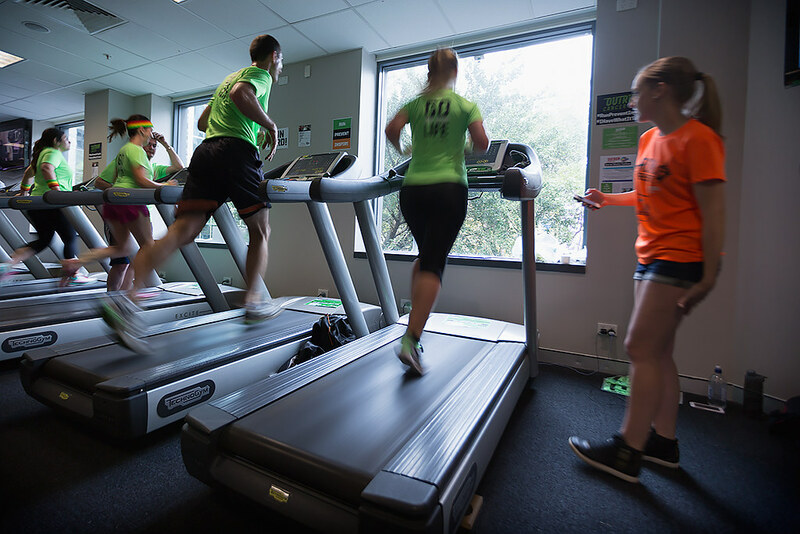 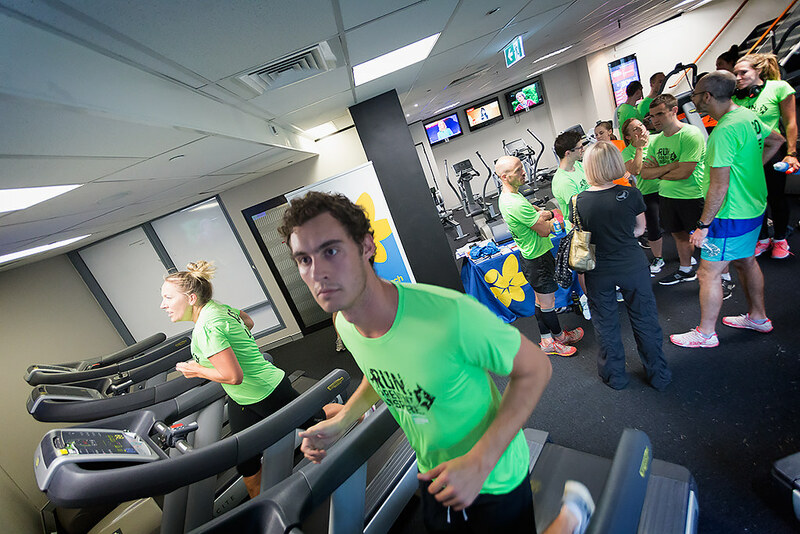 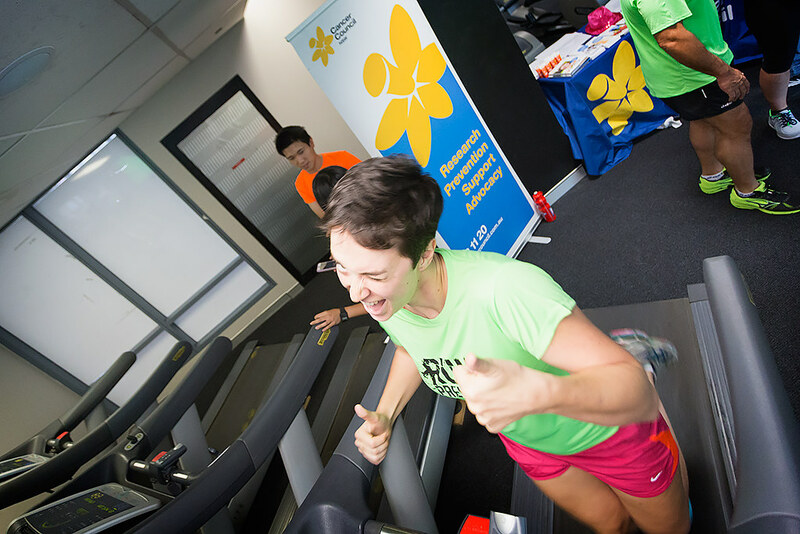 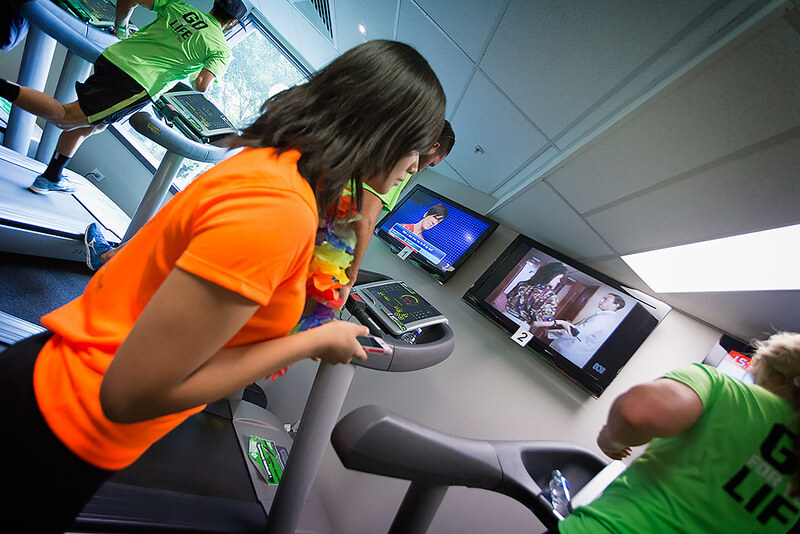 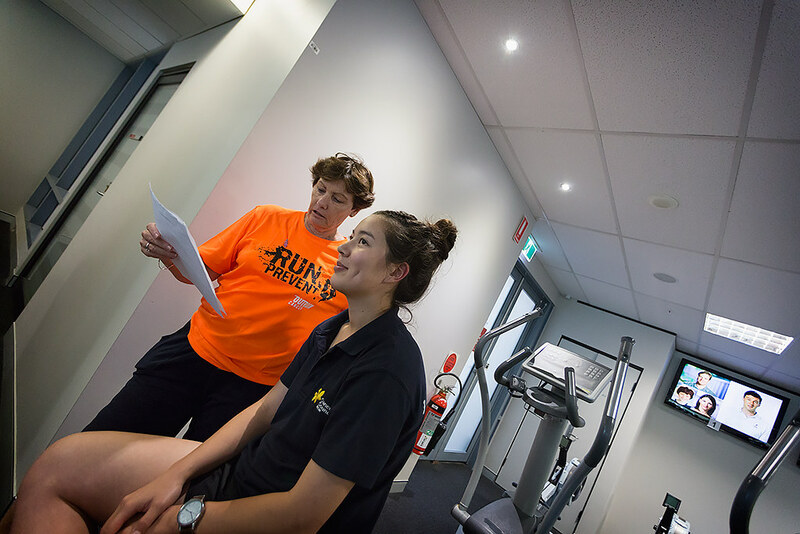 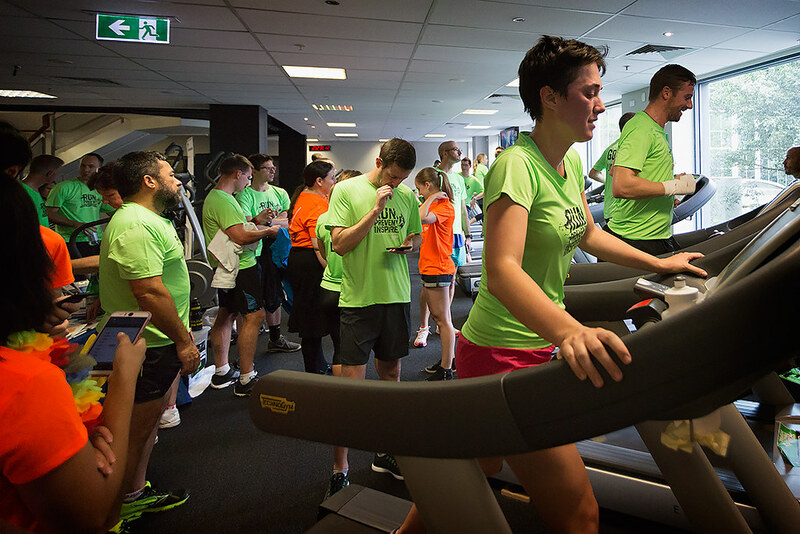 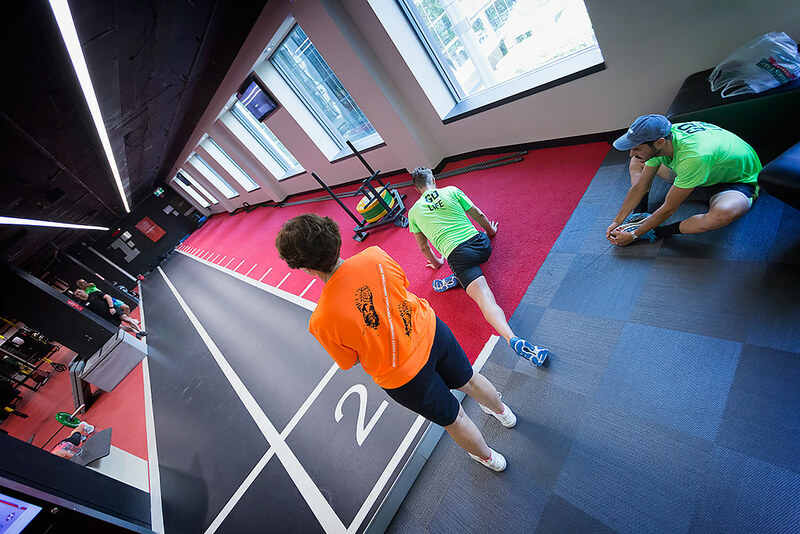 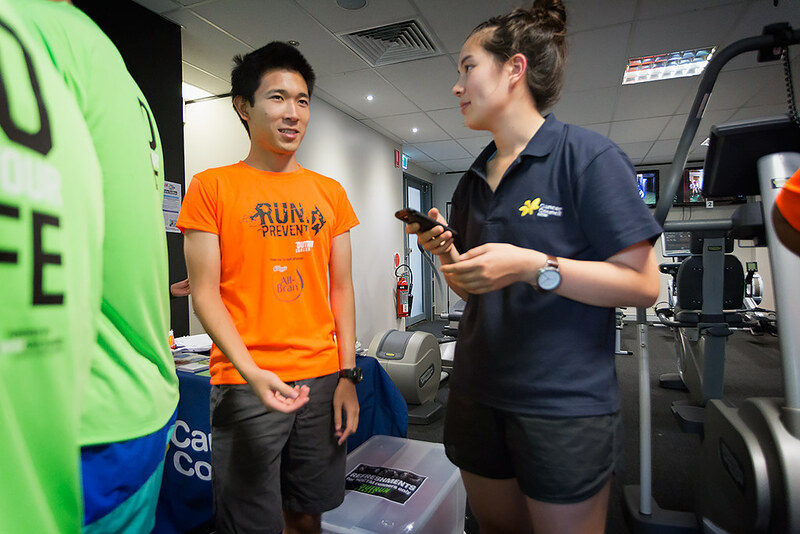 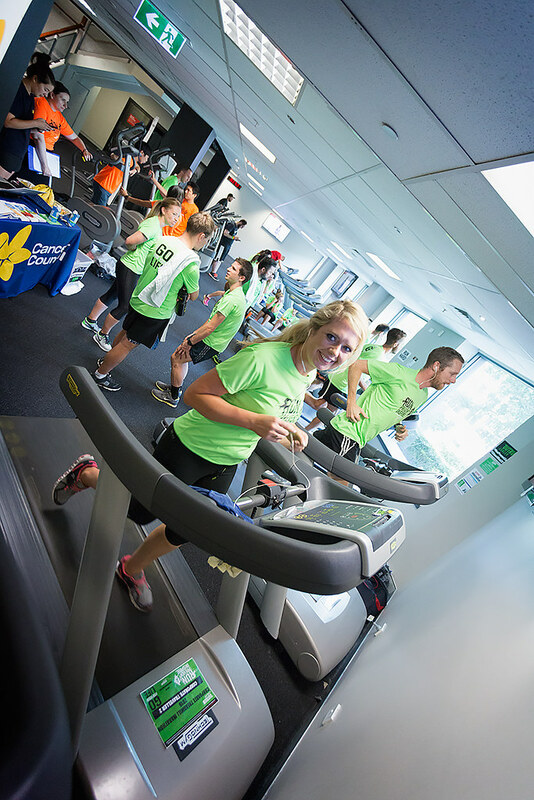 In addition to hosting the event, our generous supporter Fitness First, is offering fantastic prizes, including 3 and 1 month free gym memberships. 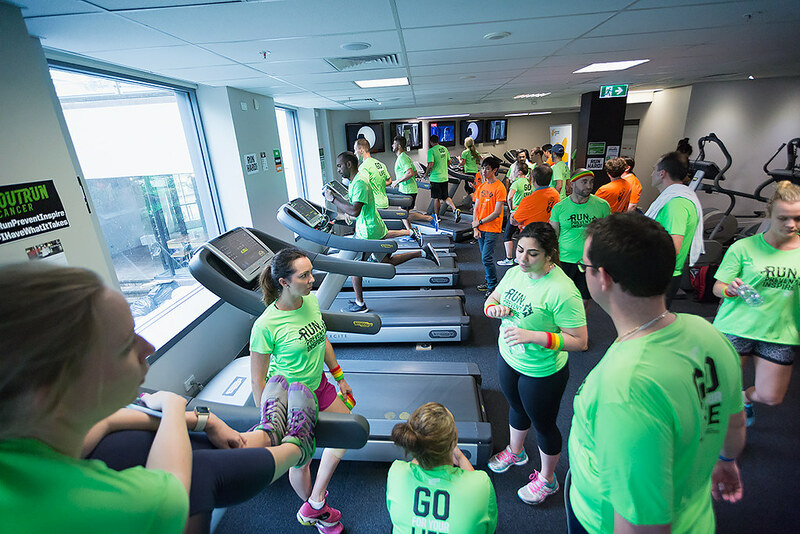 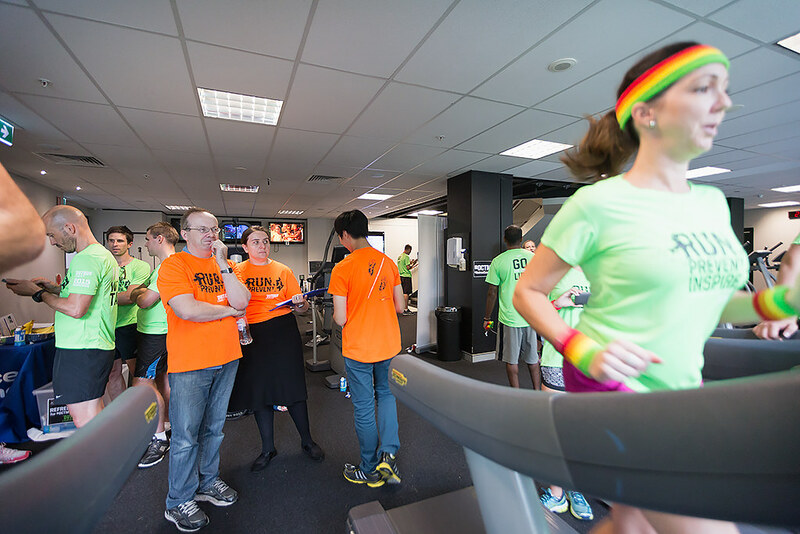 The North Sydney site started off with a bang, with four teams starting at 1pm on the dot. 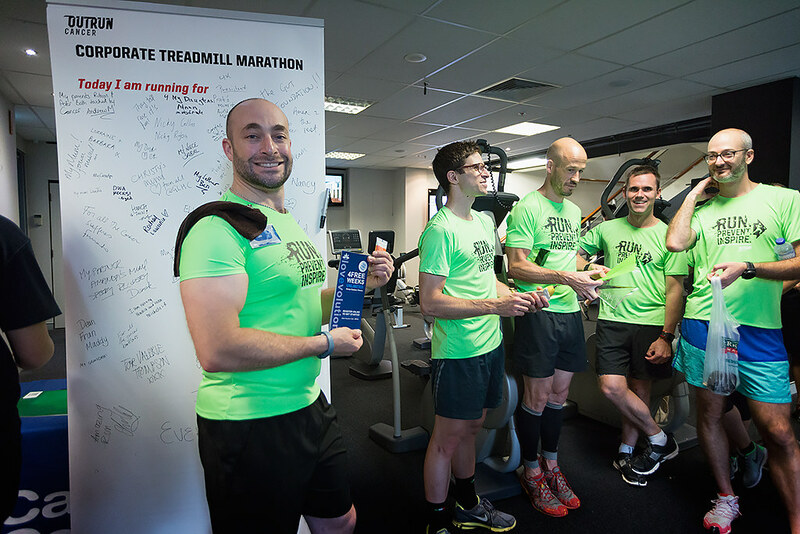 DWA Marauders were ready in their matching sweatbands, Sam from SDW (Self Directed Wealth Team) starting off for the team and Corporate traveller 1 & Corporate traveller 2 racing next to each other. 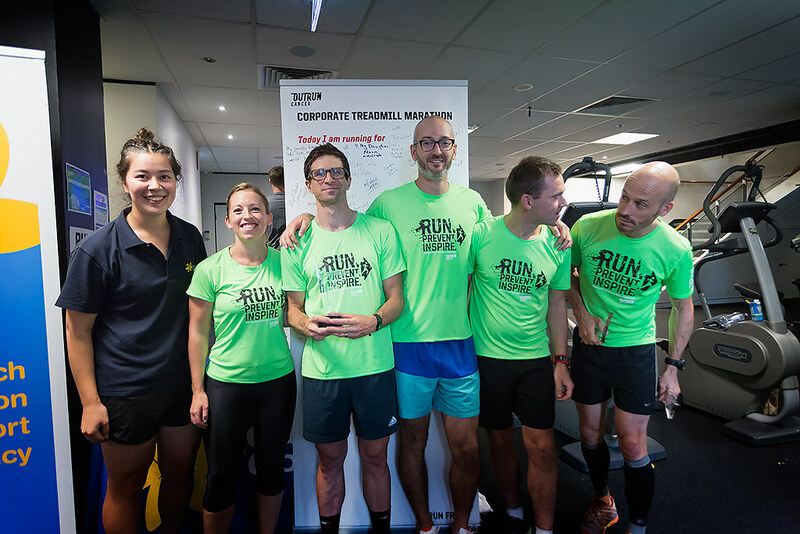 The SDW (Self Directed Wealth Team) had a tight team of four who soldiered on for the 42.2km just between them! 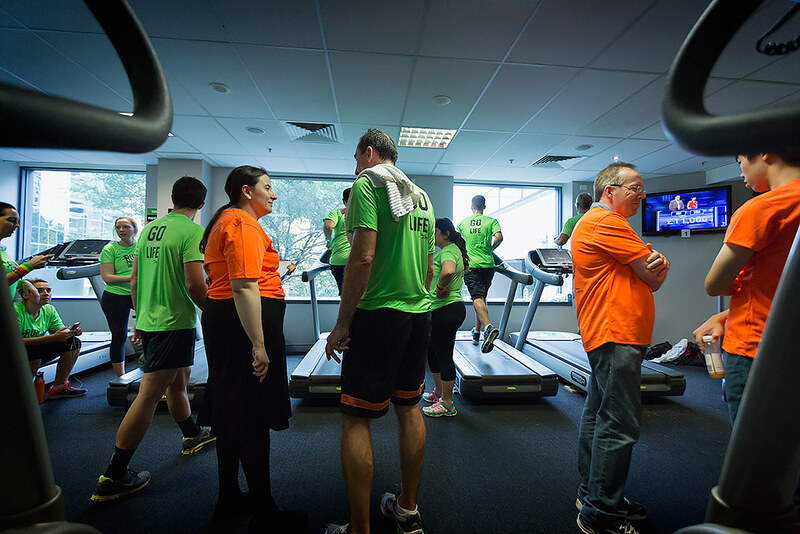 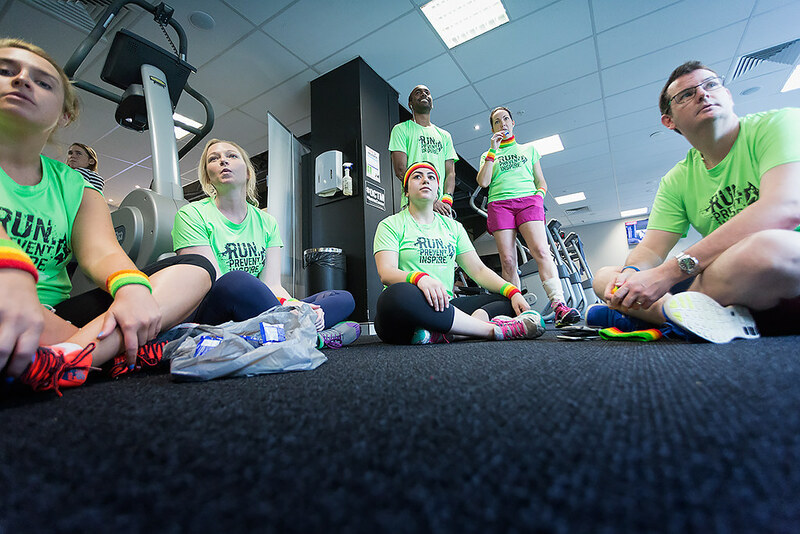 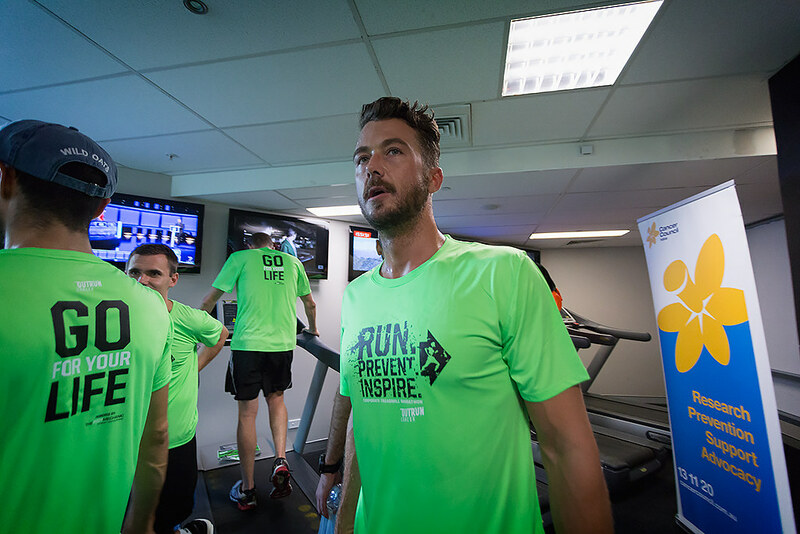 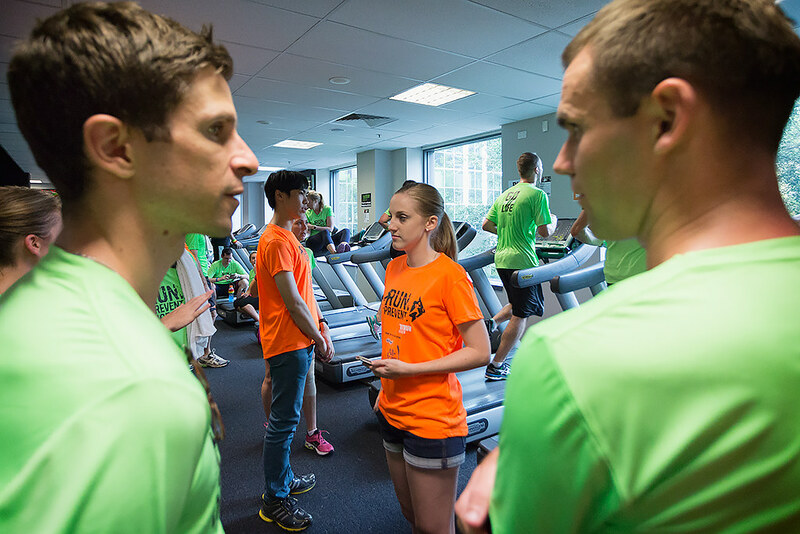 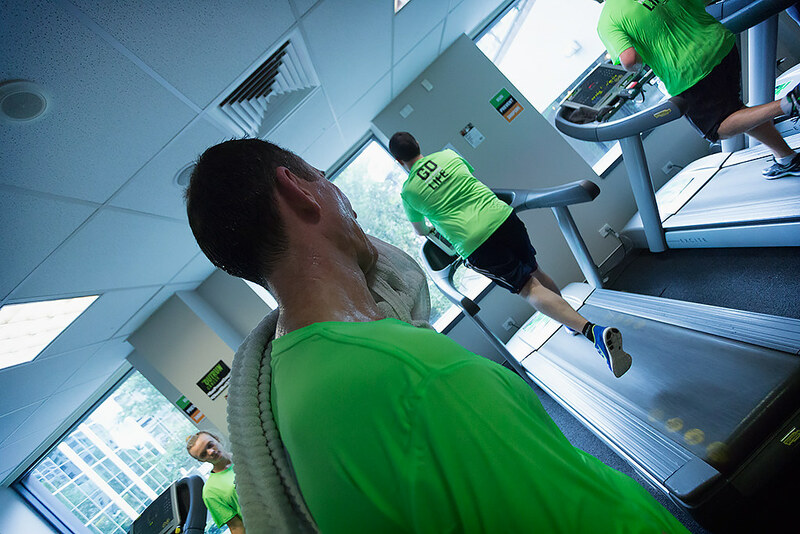 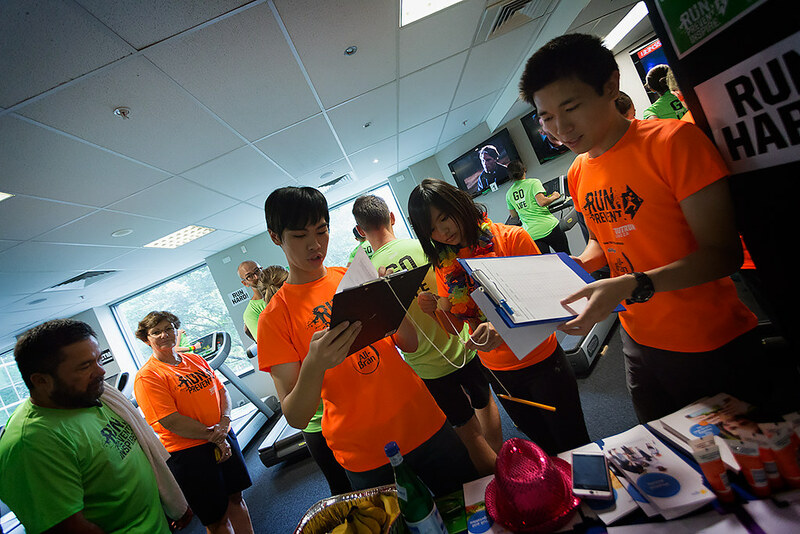 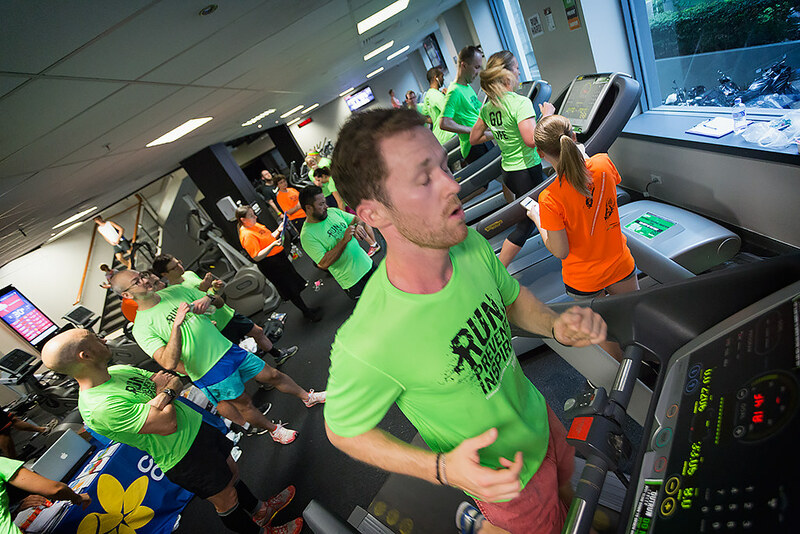 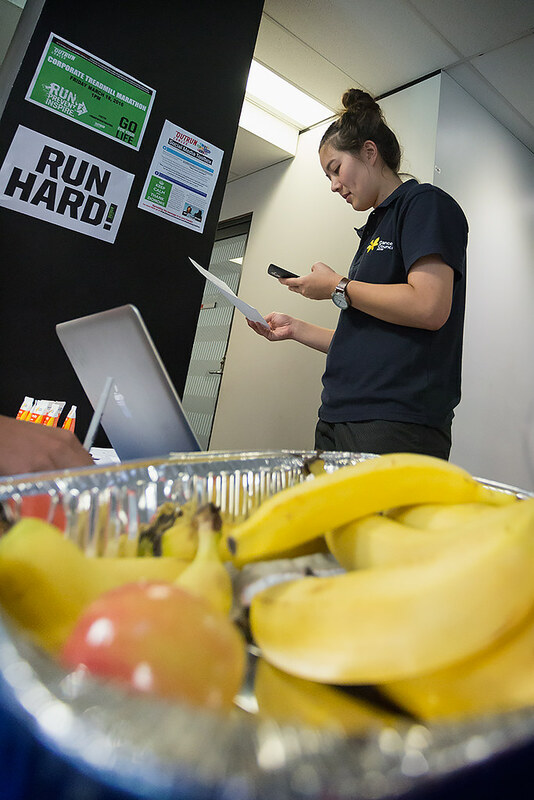 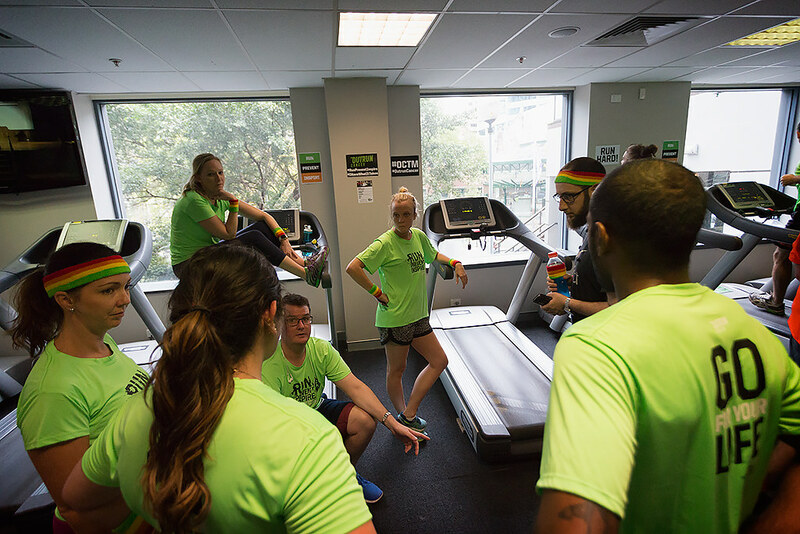 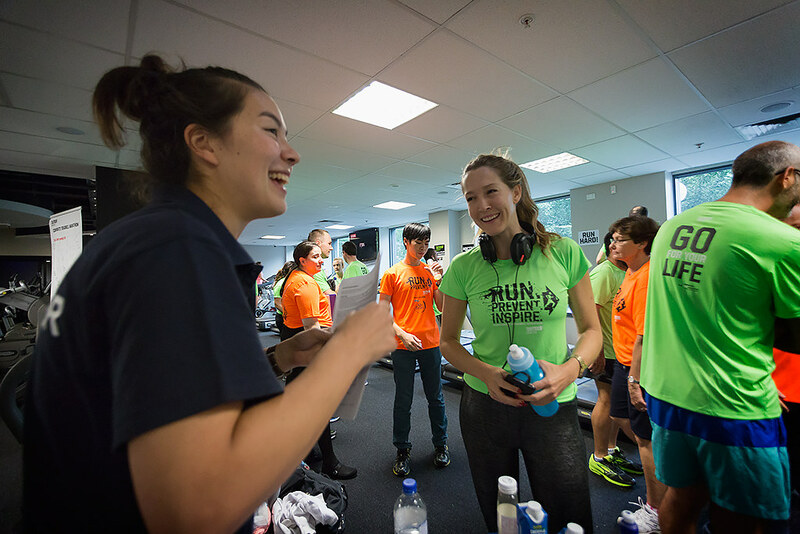 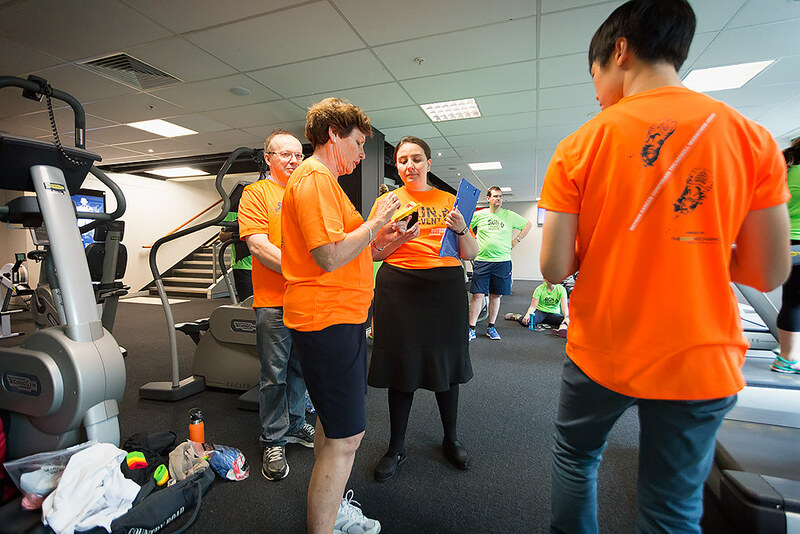 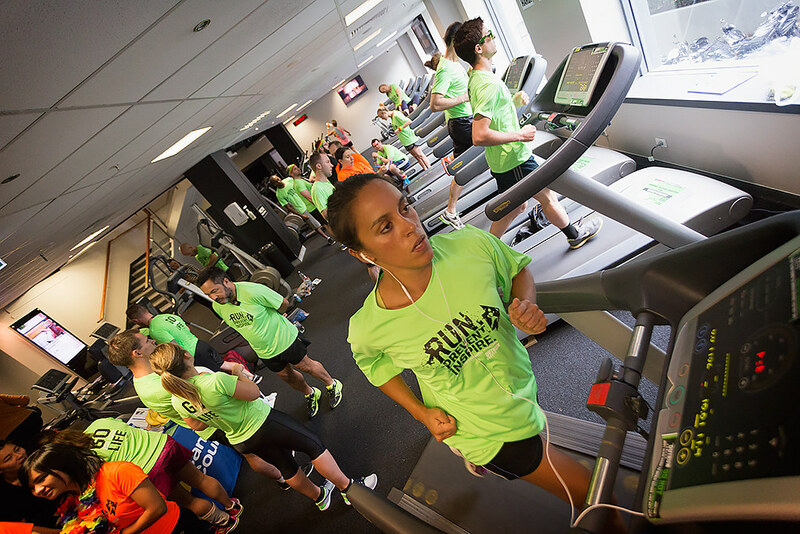 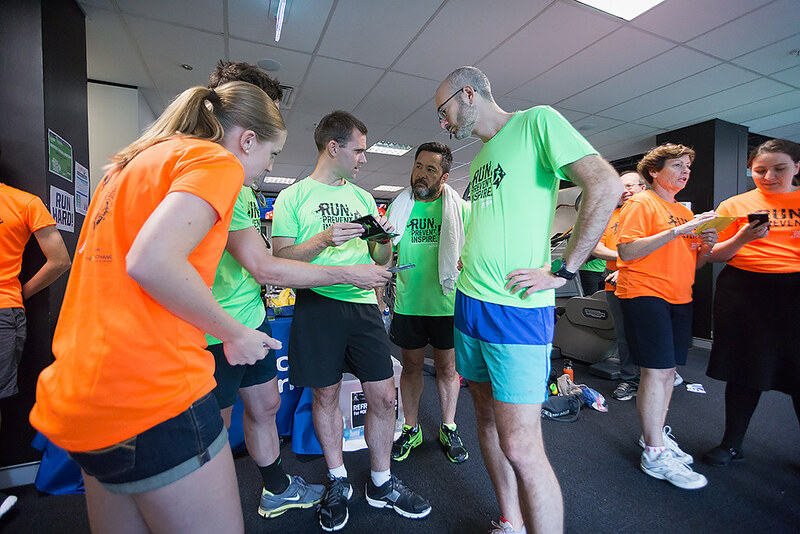 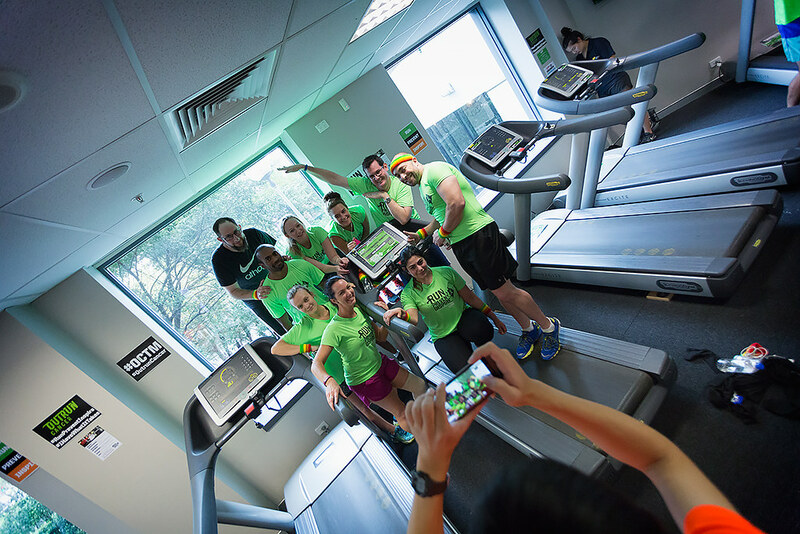 The Corporate traveller teams had a scheduled system of runners coming in throughout their work day, starting together and finishing together! 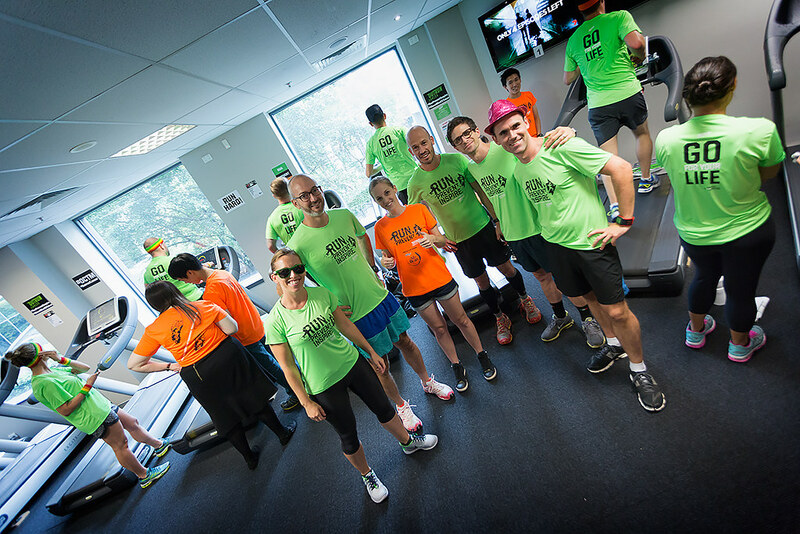 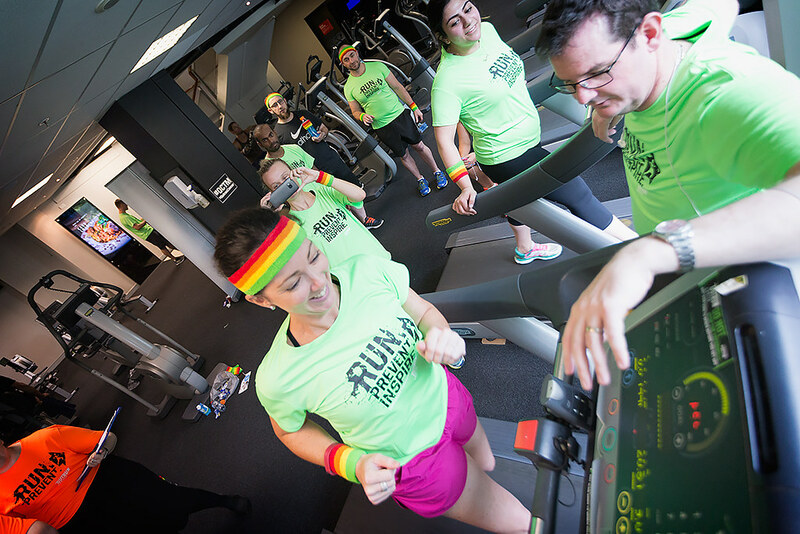 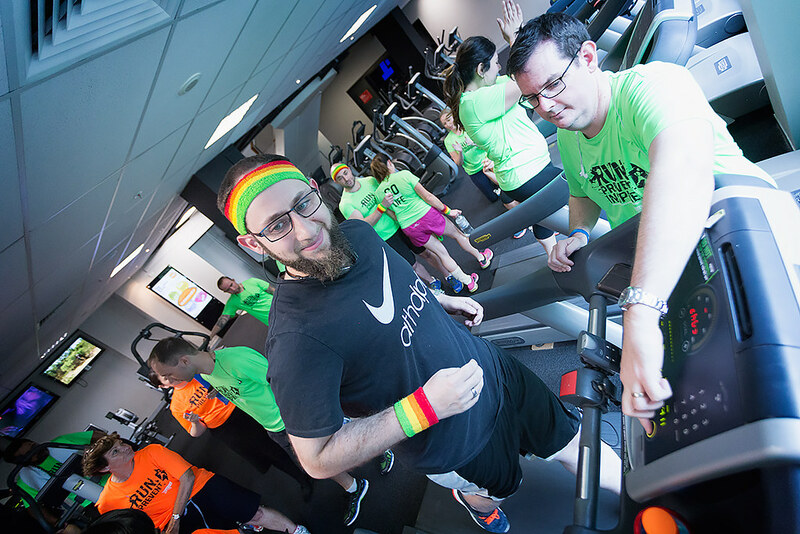 DWA Marauders took home the team spirit award with awesome encouragement from the whole team throughout the marathon, dressed up in colourful sweatbands and participated in the side challenges run by Fitness First- thank you for your enthusiasm! 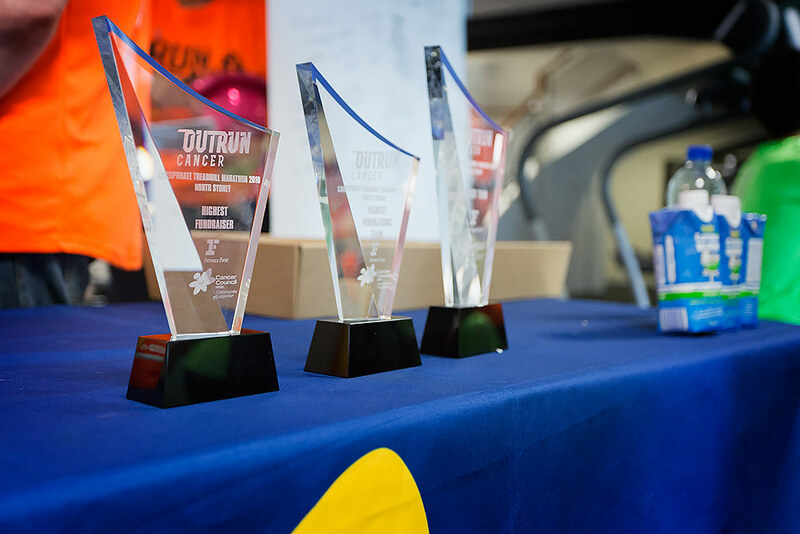 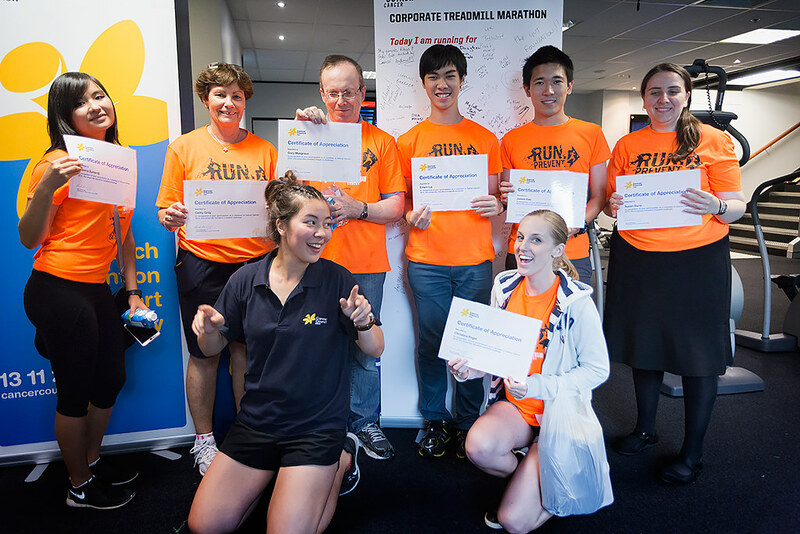 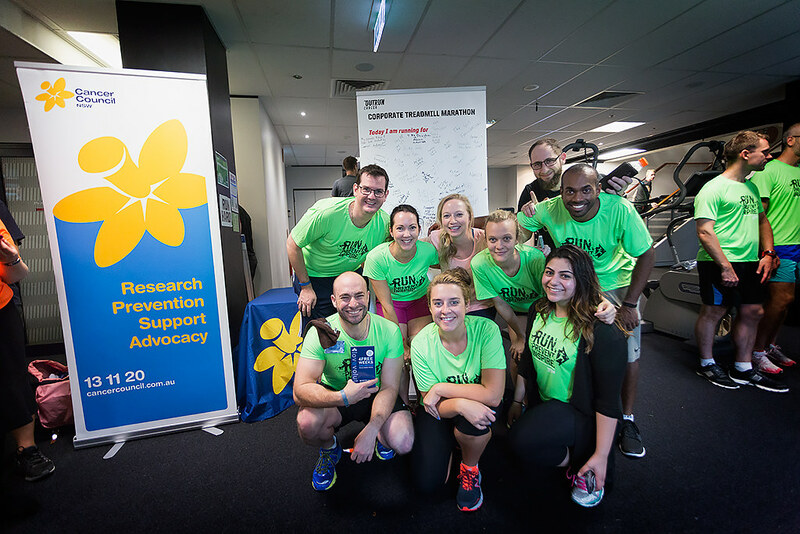 Finally, TBM best of the best our returning champions took home the trophies for top fundraising team and fastest team for the second year in a row, smashing out the last kms with a bang! 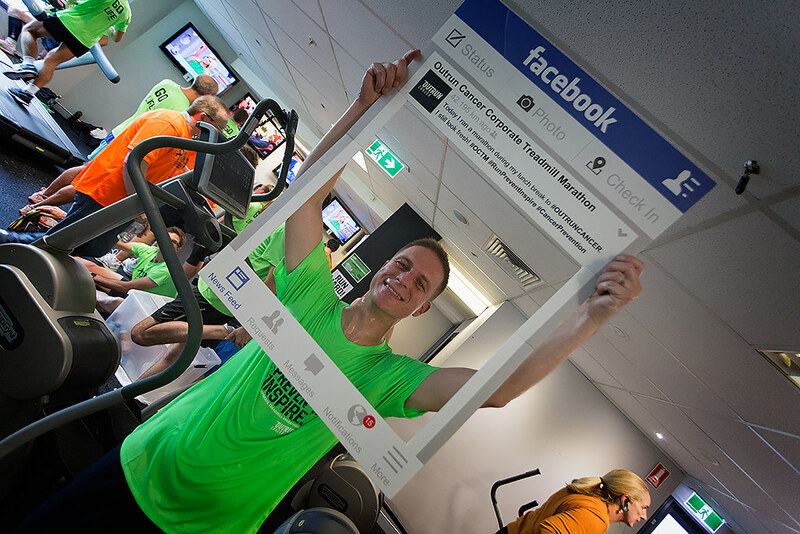 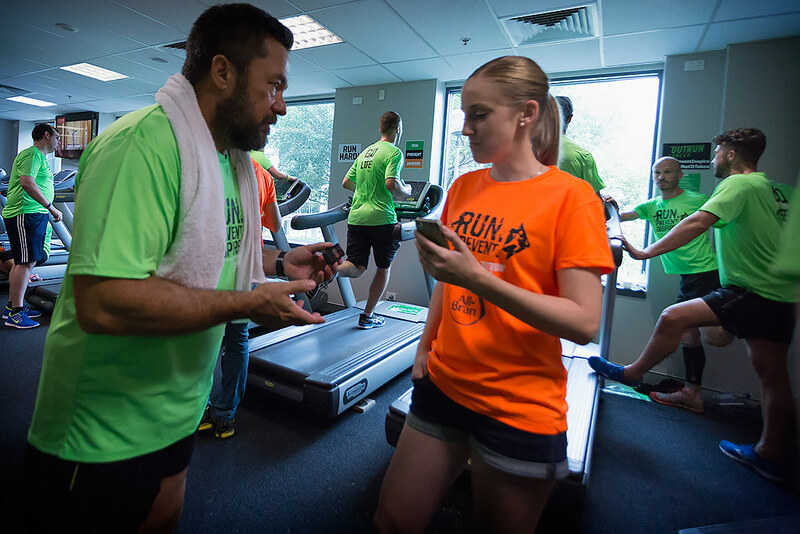 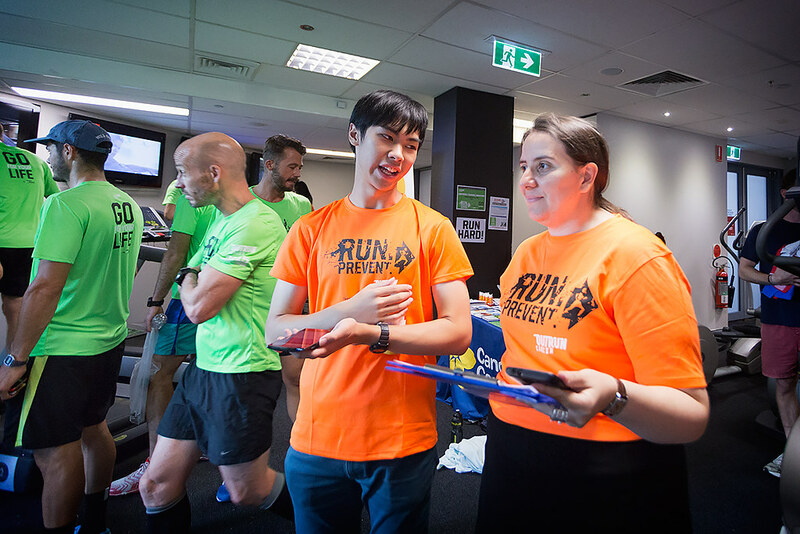 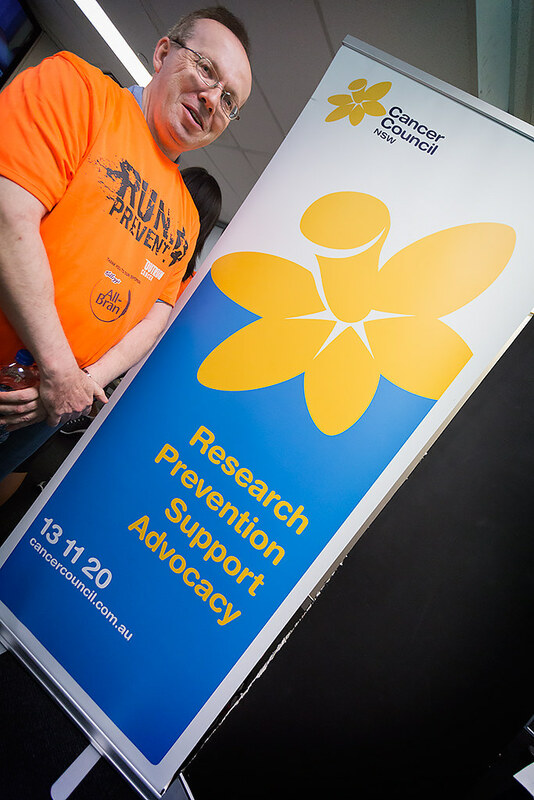 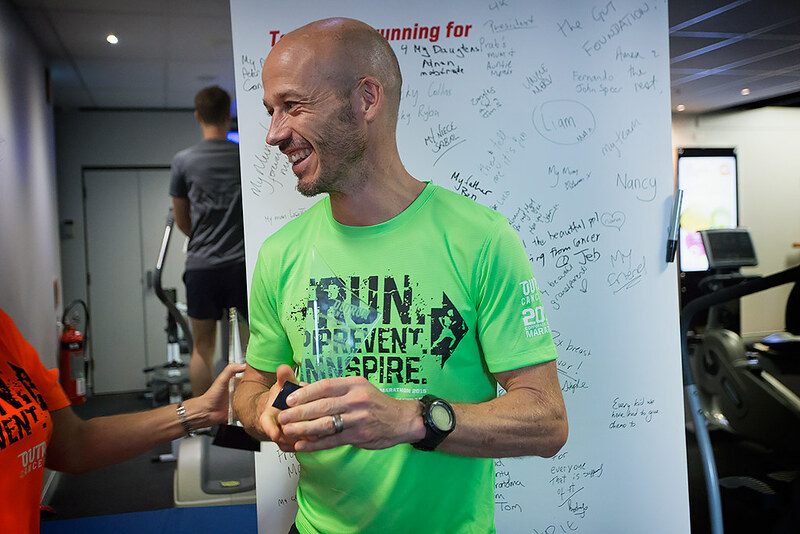 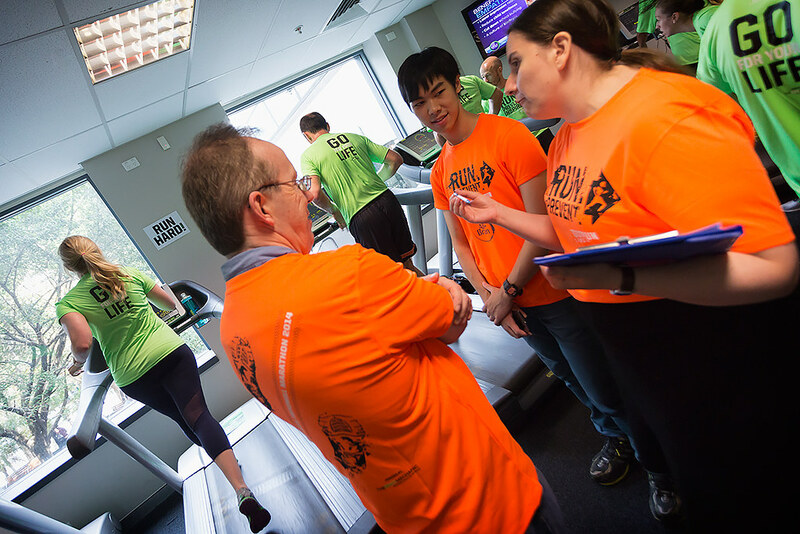 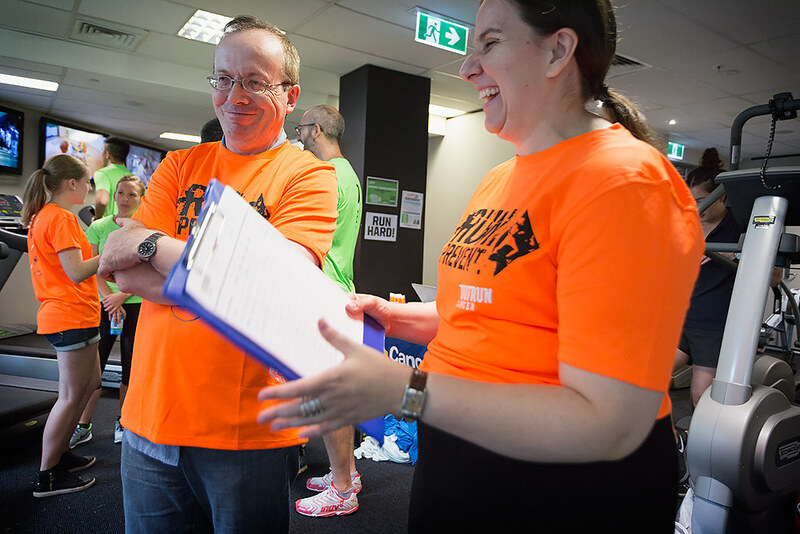 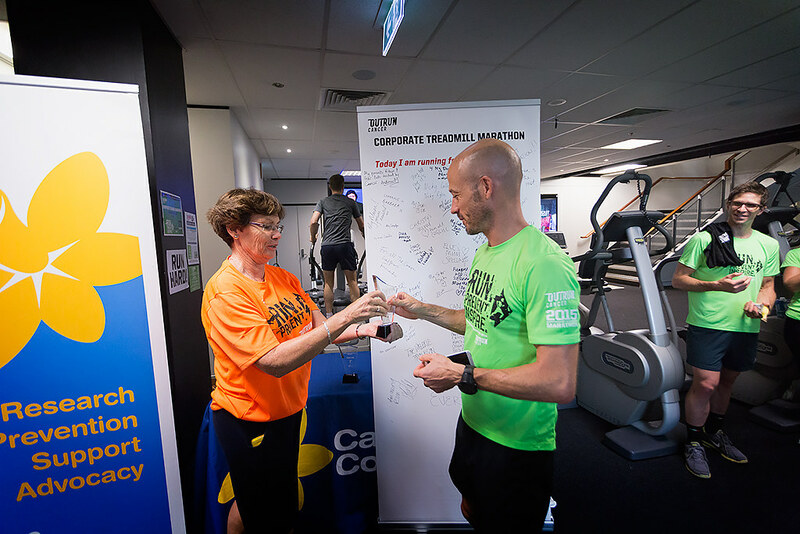 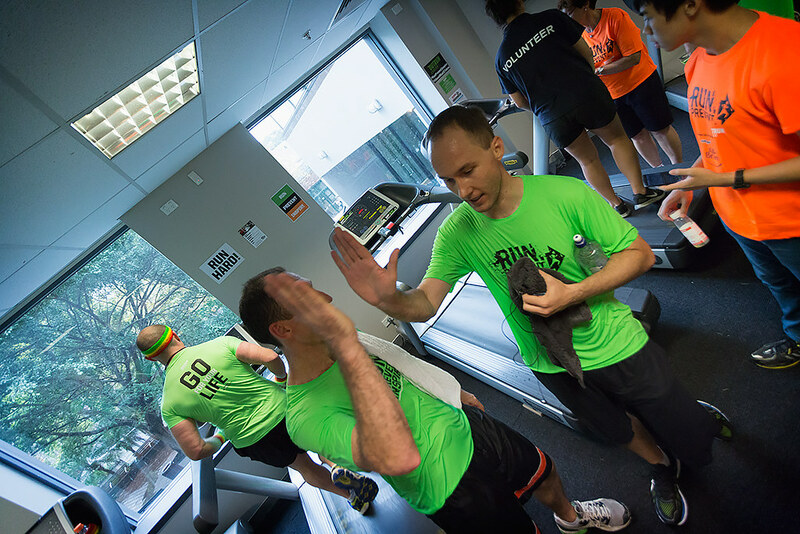 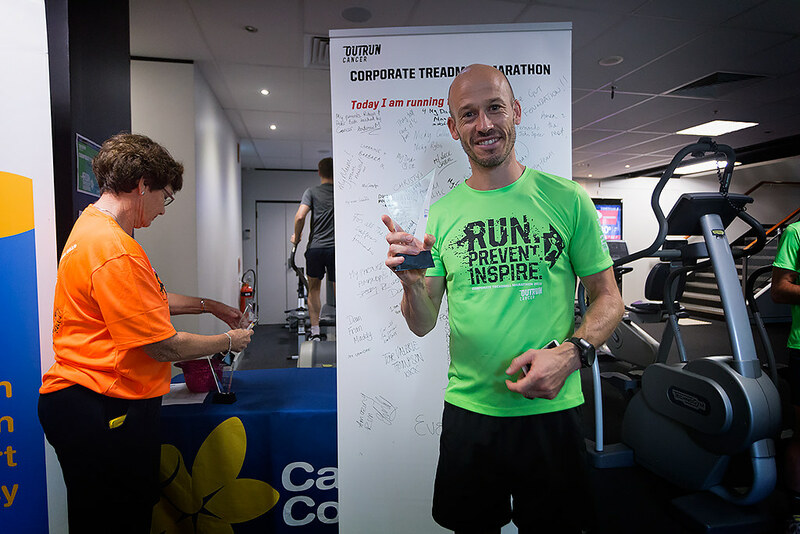 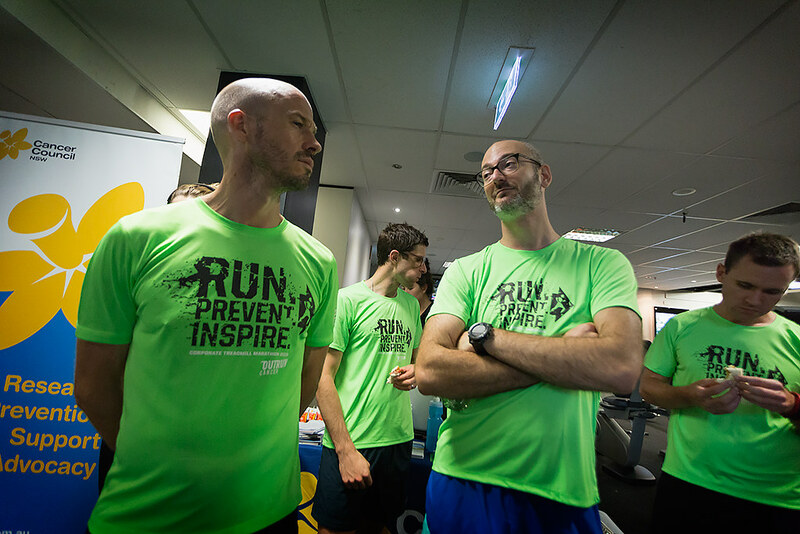 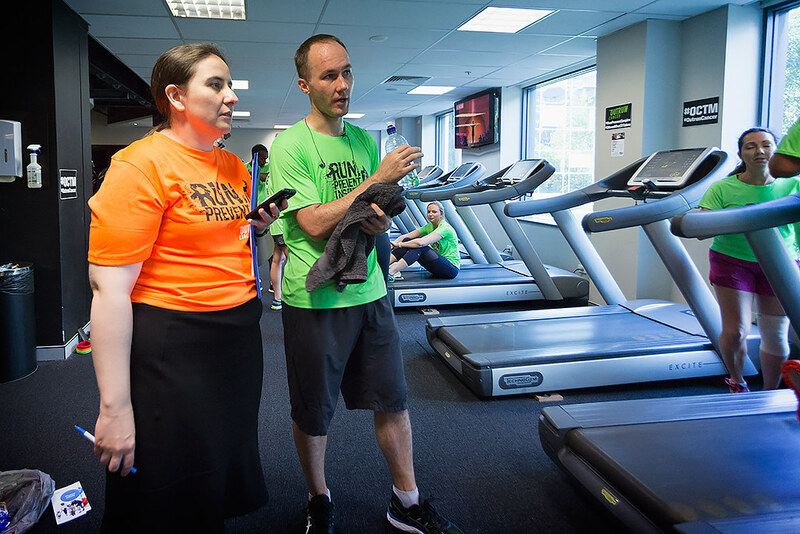 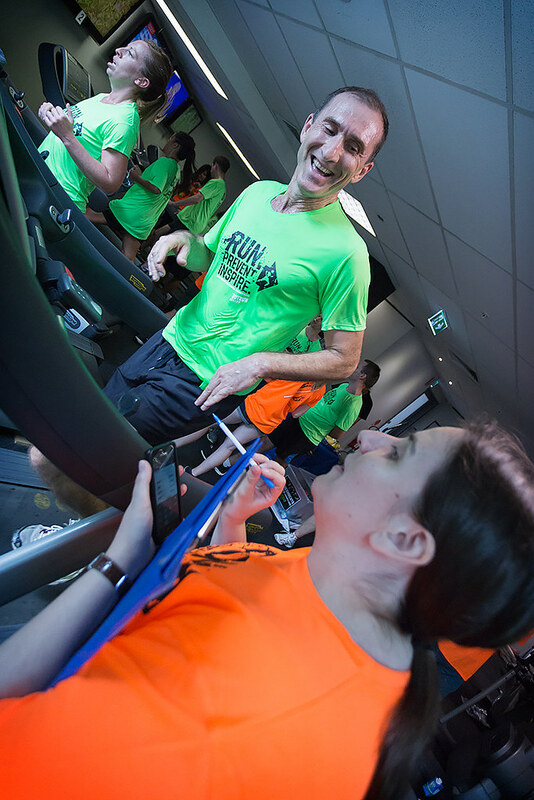 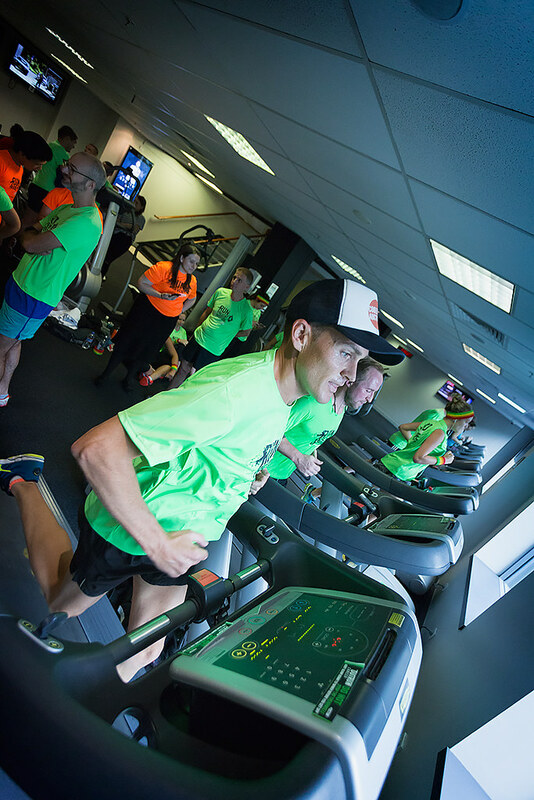 A shout out to Mark Green, the North Sydney top fundraiser! 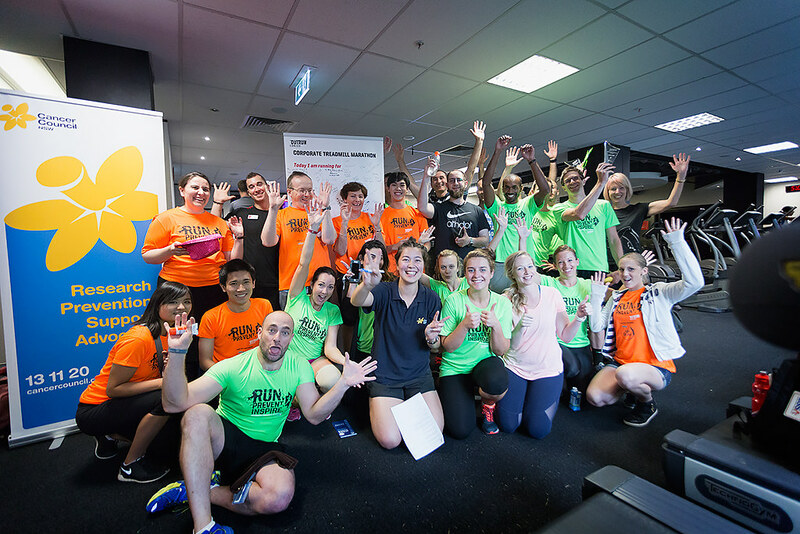 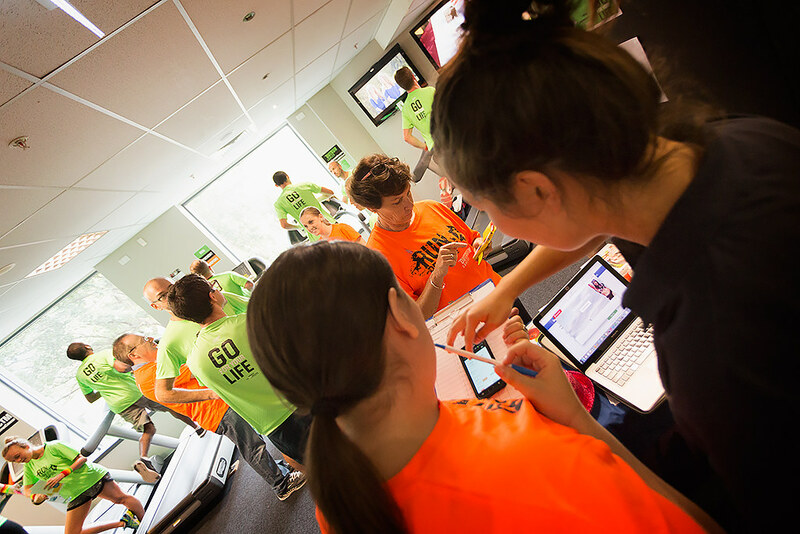 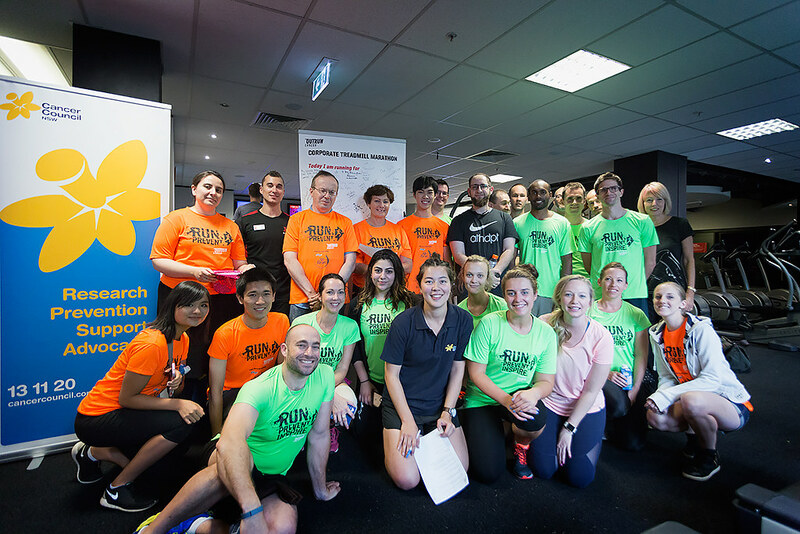 Thank you to all the teams, volunteers, Giulio the photographer and Pete’s team from Fitness First!